DeWalt has forged a reputation in creating tools that are guaranteed to be the toughest out there. 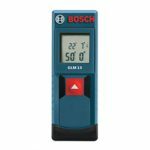 You can take them into a wide range of situations and they will survive the rigors of DIY and building sites without having to be replaced every time you take on a new project or job. The improvements in laser technology have meant that there is a whole new range of products out there to help provide builders, surveyors, engineers and other construction professionals get better measurements, straight lines to work with without having to mark up and more accurate results. The DeWaltDW089K Self-Leveling 3 Beam Line Laser is a product that has been designed to be used by people in domestic and commercial settings. Beam line lasers are not to be confused with laser cutting tools; they are projection units that use lasers to create a beam that can be used as a line guide both in interior and exterior settings. 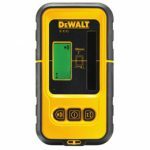 DeWalt have produced some interesting technology in this are that include the DW0714 glasses and the DW0730 target pad that can help see laser technology better when using a number of their products. The DeWaltDW089KSelf-Leveling 3 Beam Line Laser is designed to be used for installing kitchen and bathroom cabinets, fitting built-in wardrobes, mapping wall layouts, tiling floors and walls, fitting drop ceilings as well as chair rails, doors and windows. The DeWaltDW089K Self-Leveling 3 Beam Line Laser is different to other line lasers that you can buy as it has a second plumb line. This second plumb line forms an intersecting line at a 90 degree angle on the floor and ceiling. The third beam on the DeWaltDW089KSelf-Leveling 3 Beam Line Laser is a vertical beam that allows it to be used to help with wall layouts without needing to use a second laser. 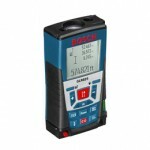 For those who are limited in their budgets when it comes to investing in new equipment and those who are looking to say time when it comes to the layout and measuring phase of any project, the third beam on the DeWaltDW089KSelf-Leveling 3 Beam Line Laser means that you don’t you can save time and money not having to set up and use the second laser. 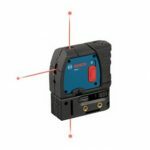 The DeWaltDW089K Self-Leveling 3 Beam Line Laser has a range that can be extended to 165ft when it is used in conjunction with the DeWaltDE0892 line laser detector. The brightness of the laser beams has also been improved so that the beams can be seen much more easily. The DeWaltDW089K Self-Leveling 3 Beam Line Laser is also extremely accurate to 1/8 inch at 30ft and the micro adjustment knob means that you have the ability to make small and controlled adjustments to the 90 degree layout lines so there isn’t any nudging of lasers to try and get them to hit a specific mark or point. There is a metal roll cage that comes with the DeWaltDW089K Self-Leveling 3 Beam Line Laser that means it is extremely durable and can cope with being dropped and bashed about to a certain extent. There is also an integrated pivot bracket and a universal wall mount that come with the DeWaltDW089K Self-Leveling 3 Beam Line Laser so that it can easily be mounted to a variety of different positions. 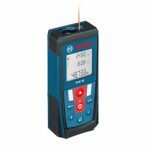 The track clearance of the system is 1 ¾ inches so that you don’t need any additional equipment or accessories in order to raise the laser of the drywall track. There are one or two downsides to using the DeWaltDW089K Self-Leveling 3 Beam Line Laser though. The first of these is the weight of the DeWaltDW089K Self-Leveling 3 Beam Line Laser has not been taken into consideration properly be the designers. When the laser is mounted on the wall using the universal wall mount it slides down the bracket, so you end up running angles that just aren’t level. It doesn’t happen instantly, but the slightest movement or vibration can cause it to start sliding. In order to keep it fixed and steady a spring clamp has to be used which may seem extreme, but it is one way to ensure that it won’t slip. There needs to be a second magnet added to the mounting bracket in order to solve this problem and provide a little more stability to the unit. 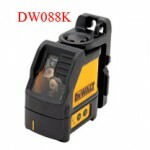 On the whole, the DeWaltDW089K Self-Leveling 3 Beam Line Laser is quite a good system for those who are looking for a beam line laser that can be used for home and commercial projects that they are taking on without spending too much money on a single tool. The DeWaltDW089K Self-Leveling 3 Beam Line Laser comes with a 3 year warranty so that if any of the parts wear out or fail before then you’ll be able to get the unit repaired instead of having to pay out for a second or even third unit. 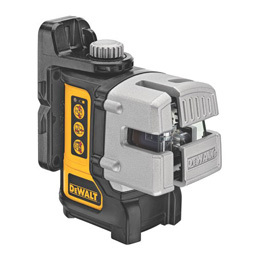 Click here to purchase Dewalt DW089K on Amazon!